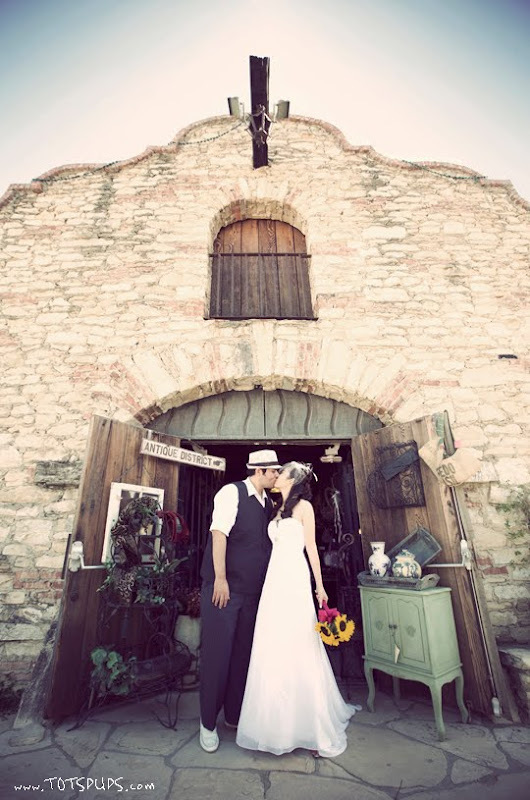 I planned and styled my own wedding. The theme is vintage casual with a modern touch in somewhere in Europe. The vintage theme came from my future husband's fedora collection and the casualness derived from his dislike of ties and suits. 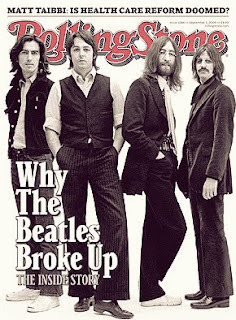 Rolling Stone magazine republished an old photo of "The Beatles" (one of my husband's favorite bands of all time) for their cover and it featured Paul McCartney wearing a black vest, pinstriped charcoal pants and a crisp collared shirt with the sleeves rolled up. It was the epitome of casual chick and when I saw that I immediately knew that is the outfit for the groom. He accessoried with white shoes, aqua blue socks and wore one of his fedoras. I chose a short hair net with whimiscal feathers and a very simple flowy white wedding dress to bring the simple and modern touch. My hair do was a combination of simplified half beehive and a few curles in the back. For my second look I chose to replace the hair net with a silver and rhinestone brocade with thicker white feathers and wore a BCBG dress with a black sash. This outfit was much easier to move in. Comfort is an important factor in choosing the clothing for us. White flowers are not photogenic so I choose colors instead. My bouquet was a yellow sunflower and my bridesmaids each held a sunflower painted in different colors such as orange, pink, and red. Choosing to paint the flowers saved on the cost. Blue and purple Hydrangeas decorated the scaffold where we held the ceremony. I wanted a whimiscial/surreal feel so I chose a venue that cannot be defined by one style/genre. Hidden Chateau & Gardens is a predominately Spanish style but the arches can be any European scenery. The different areas in the garden also added to the ambiguousness. Food is very important to us and the one thing we wanted was the guests to remember the food. We have all been to weddings where the chicken is served cold and dry, my mission was to find someone who wouldn't shamelessly do that. We got my #1 pick and we served home made Brazilian food at our wedding. The must have for me is Famous Brazilian Chicken Pot Pie and the groom's must have is the Bite Size Pumpkin Bites. My good friend insisted on baking her delicious cupcakes for the event and we gladly accepted. My favorite cupcake of hers is the blueberry cupcake with blueberry yogurt frosting and I asked for a chocolate cupcake because everyone loves chocolate. The cupcake stand was decorated with blue just like the Hydrangeas and I asked that the cupcakes mimic the accent color of the bridesmaid's bouquets. Not only was it delicious, the cupcakes were pretty. 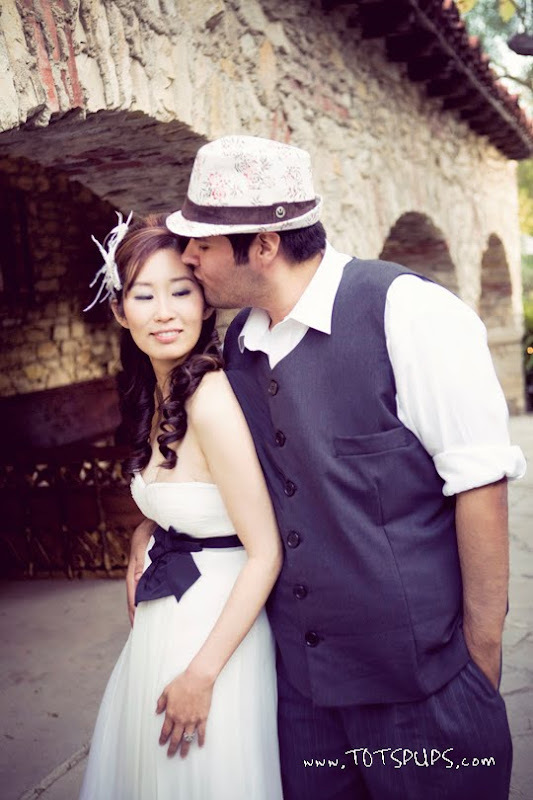 It was a very personal wedding for both of us, we choose accessories, hair, attire, colors, florals, venue, music, and catering that suited the groom's and my personal taste.